Halloween is still undergoing, and I have one more costume to share with you all. 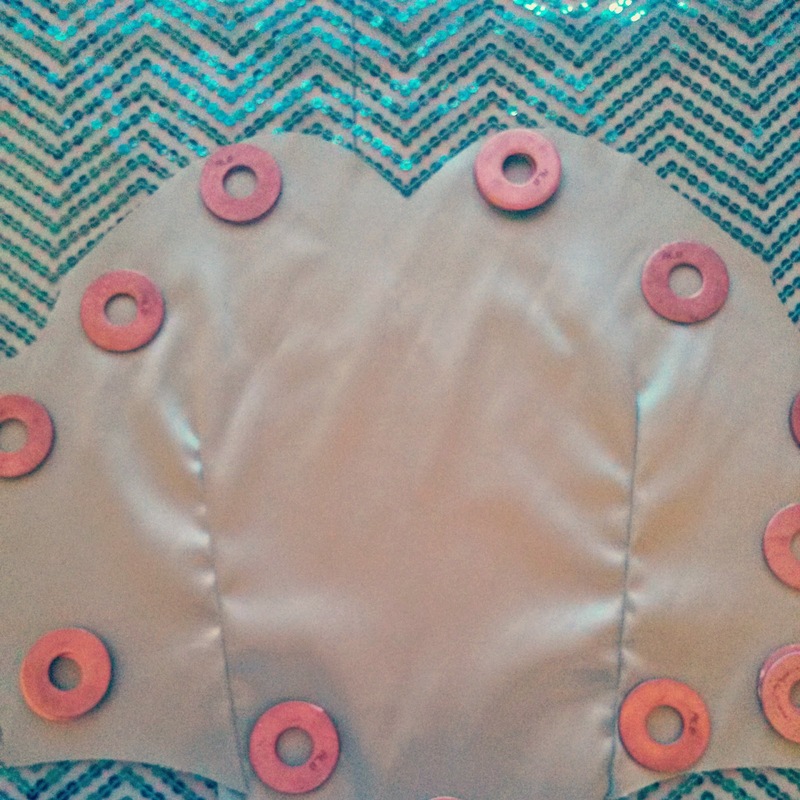 Ok, in the previous post I asked you to guess what costume I had designed. I gave you two hints: she is a Disney Princess and she’s an ice princess. 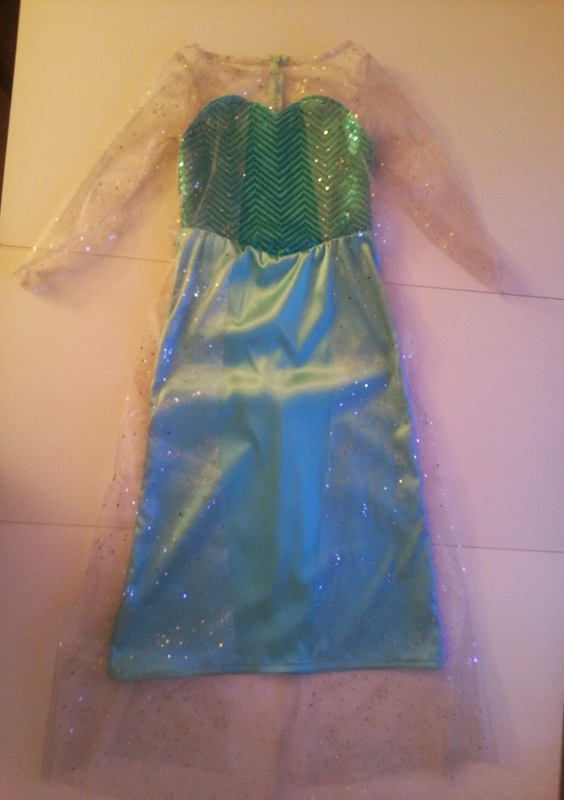 Well it’s no other than Elsa from Frozen. It seems as though this year Elsa is the number one Halloween costume requested amongst lil girls, every ad seems to have her in the front cover! 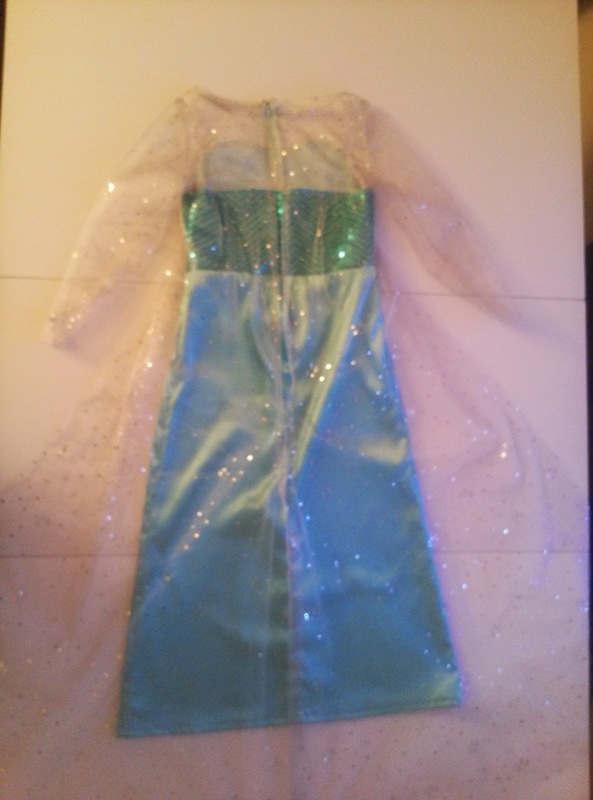 Good thing my little customer will not be wearing a store bought Elsa and look like the rest of the little Elsa’s lol she’ll be wearing a custom design setting her apart from them. 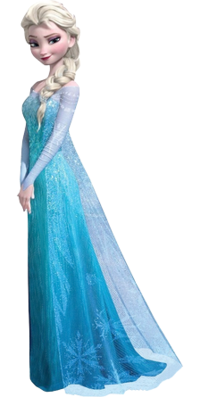 If you don’t know who Elsa is here is a picture of her. For this design I had to look closely at the details that make up her dress. 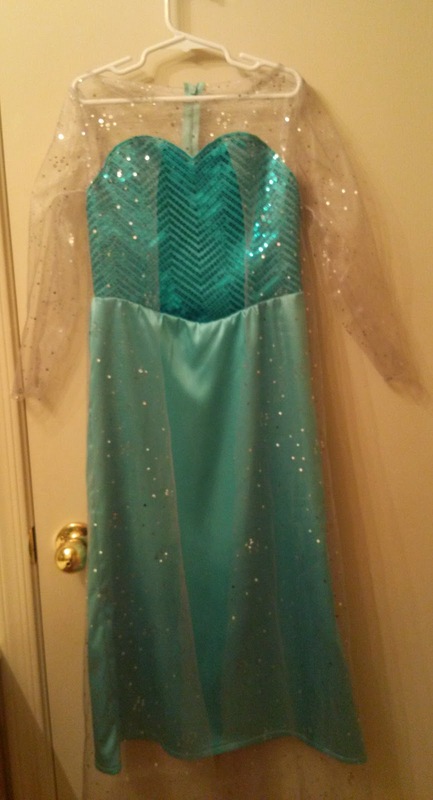 She has a sweetheart bodice, with a v waist line, and semi fitted skirt. 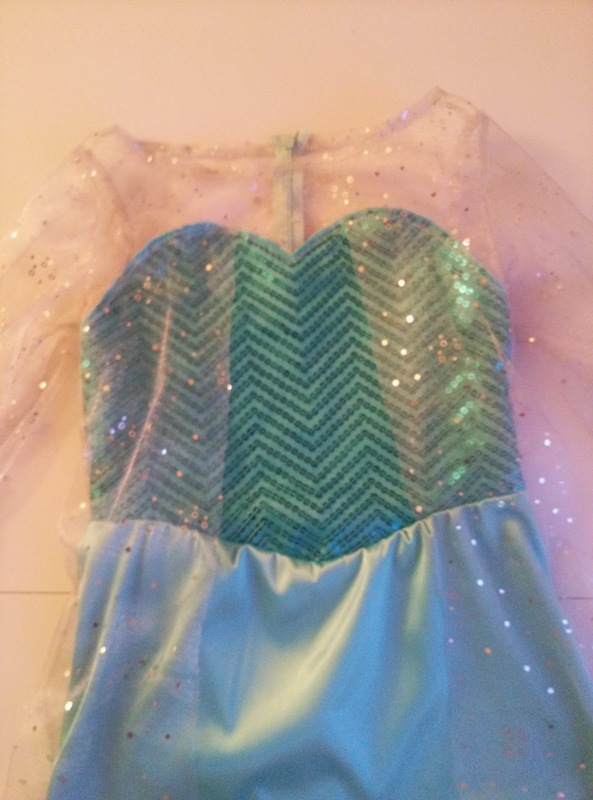 Her dress also has sheer sleeves, neckline yoke, and a cape which are covered in sparkles and snowflakes. For this costume I used three different fabrics to get the same look. 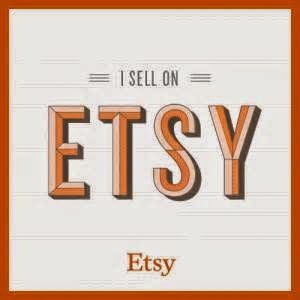 I found a nice soft turquoise which will be for the skirt and under layer of the bodice. 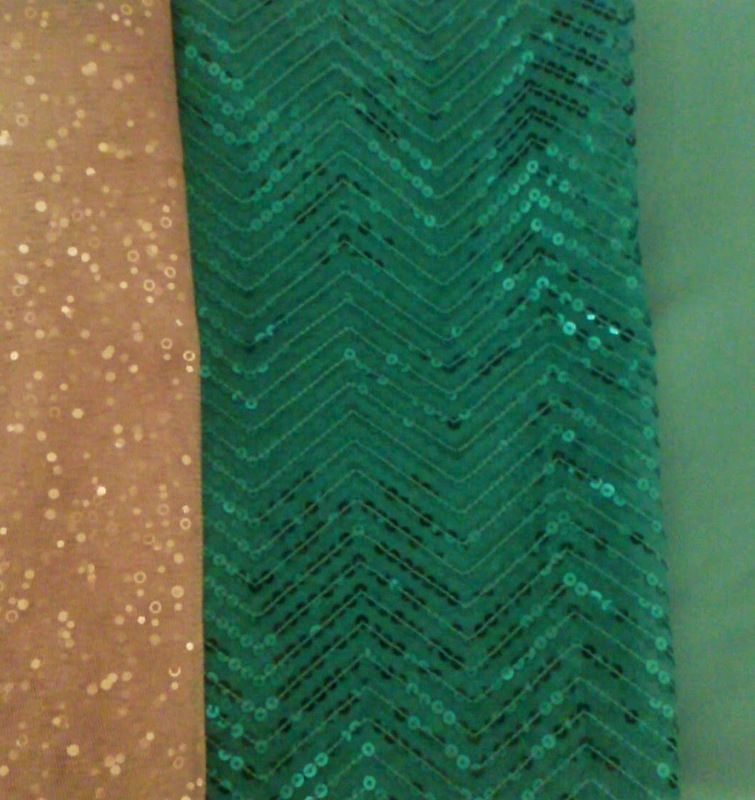 For the bodice overlay I got a matching chevron sequin fabric. 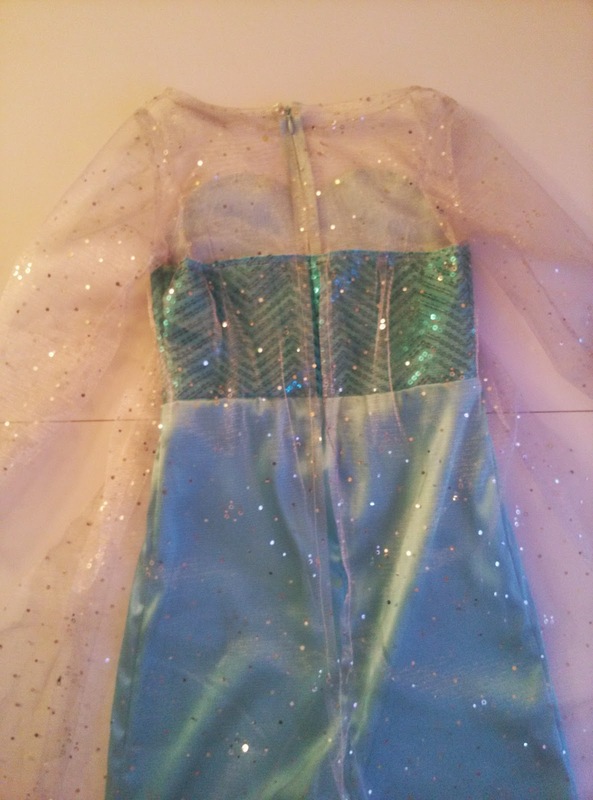 The third fabric consisted of a sheer sparkly performance fabric. Here is the final product! Love the way it came out so sparkly. Even though the cape and yoke may seem complicated, the design was really simple. Overall I’m happy with the results; this one was pretty interesting to see it come to life. Even though I designed these two costumes based on Disney movies, I have yet to see either one, that’s what I’ll be doing now that I’m done with these costumes. Bring out the popcorn! This concludes the Halloween edition for 2014. Which Disney princess costume did you like?